By the way, the final chance this year to impose spending restraint will be around October 1, when the 2011 fiscal year expires and the 2012 fiscal year begins. But I won’t be holding my breath for anything worthwhile if Republicans screw up on the debt limit just like they failed to achieve much on the CR fight. Yes, spending is the problem, and behind that is the nature of our country now: a plutocracy, perpetuated by capitalism. This road we are marching down is one of limited freedoms, as in a totalitarian state. Anyone who denies this happening has their head in the sand. Our liberties are dwindling fast. 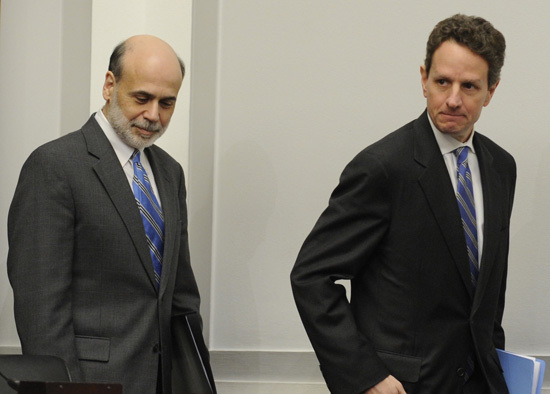 The crux of this issue is the mind-numbing complacency with the unequivocal criminal activity of Goldman-Sachs, JP Morgan, and now being brought to light by Matt Taibbi, The Fed– in his latest article. The Fed is defrauding us and what Taibbi wrote is just the tip of the iceberg I am afraid. No wonder the Fed is scared shi$less that we audit them. NO ONE IS DOING ANYTHING!!!!! WTF????? IF NO ONE STANDS UP TO THIS, WE ARE DOOMED. LAWYERS AND LAW ENFORCEMENT– THIS IS IN YOUR HANDS. YOU CAN GO AND ARREST DIMON TODAY WITH THE EVIDENCE AVAILABLE.